for short time 6 nights . S.Room , 2 Beds 120*190 , large living room , full kitchen 2 sofa as single Bed , large Balcony with 6 chairs as dining area too ., Tv LCD . 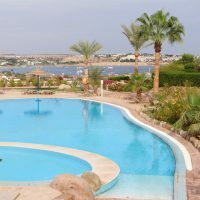 WIFI , using the Viva Beach just for 25 Le + you have discount 20 % for food and Beverage , ( Viva Beach Restaurant - Panorama Sharm - Kan Zaman Restaurant sea food - Safari Sharm ) all this facility specialty for our guest more than Tour Operator . This Ad has been viewed 158 times and got 2 replies.